Imyst provides the highest quality market research tailored to fit each client's needs. By working with our clients, we create surveys that maximize the effectiveness of each market research program. 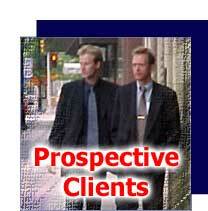 We focus on providing the most effective and lowest priced mystery shopping programs in the industry. To learn more about Imyst's mystery shopping capabilities, please visit our mystery shopping services section. Our experienced staff helps you use the results of your market research or mystery shopping programs to improve your operations through our extensive consulting services. If you would like to speak with a representative at Imyst regarding our services or becoming an Imyst client, please view our contact information. If you would like to learn more about our company, and its history, we welcome you to visit the about us section.